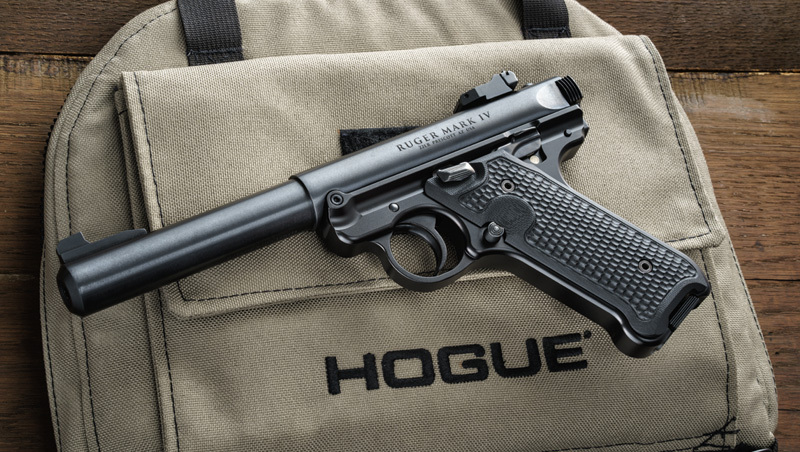 The Hogue name is practically synonymous with fine handgun grips. That's where it all started decades ago when a crafty LAPD officer named Guy Hogue took it upon himself to make a better wood grip for his duty revolver. Little did Guy know that his bright idea for a better grip would lay the foundation for today's Hogue, Inc. Guy's spirit lives on in a dazzling array of materials, styles and colors for your favorite pistol. You're just a few clicks away from a beautiful, high-resolution picture of your favorite revolver or autoloader wearing a new Hogue grip in your choice of materials, finishes and colors. Rubber, wood, aluminum, polymer, G10 or fancy hardwoods - the choice is all yours!